If you’ve always wanted to try acupuncture, but you’re hesitant about the needles, you might enjoy noninvasive acupuncture. Using a set of pointed pens, Dr. Borislava Johnson reaches your trigger points and activates your energy centers without poking through the skin. 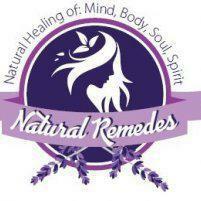 Try acupuncture without the needles at Natural Remedes, serving Cypress and Northwest Houston, Texas. Book an appointment using the online scheduler or by giving the clinic a call. Noninvasive acupuncture is a cross between acupressure and acupuncture. Dr. Johnson uses pointy Acutouch pens to activate and clear trigger points in the body. The pens have a pointed tip to trigger pressure points just as well as needles without piercing the skin. The pens use negative ions, far-infrared rays, and natural magnetism to stimulate your body’s healing process. They amplify and channel energy into the body through the meridian lines. What happens during a noninvasive acupuncture treatment? While you recline comfortably, Dr. Johnson places the pens over sensitive trigger points on your body. She carefully presses the pens into the tight areas to break up blockages in your body. You may feel a release sensation in the trigger points during the procedure. Dr. Johnson continues this process over the entire injured area, renewing your energy flow. What ailments does noninvasive acupuncture alleviate? What are the benefits of noninvasive acupuncture? Acupuncture can be terrifying for people who fear needles (especially a multitude of needles). The noninvasive Acutouch pens provide the same benefits as needles without arousing that fear. Acupuncture needles also don't offer the same negative ions, far-infrared rays, and magnetism that the pens do. In that way, the pens provide a more extensive range of benefits. Finally, acupuncture without the needles is even safer than traditional acupuncture. Since the Acutouch pens don’t penetrate the skin, they pose no risk for infection. With their gold plating, they also repel bacteria and germs and can easily be sanitized between treatments. If you’re interested in a noninvasive acupuncture session, contact Dr. Johnson online or over the phone.